Home » Blog » Is Your Cell Phone Changing Your Skin? Is Your Cell Phone Changing Your Skin? Many of us have a love-hate relationship with our cell phones. They keep us connected, up to date, and entertained, but they can also contribute to eye and neck strain, not to mention keep us awake at night with the temptation to take one more peek at the latest updates from our friends. Now, new research has some wondering: are cell phones bad for your skin, too? In addition to UV radiation from the sun, any type of light, from the bulbs in your office ceiling, to the glowing screen of your cell phone, may lead to hyperpigmentation. Refinery 29 recently brought up this question, citing a study that indicates a link between visible light exposure and melasma—a common type of hyperpigmentation characterized by brownish patches on the skin. We’ve known for years that sun exposure can lead to melasma, but only recently have scientists looked into the effect that visible light may have on skin discoloration. The verdict? Researchers found that multiple exposures to visible light sources can induce more frequent and persistent bouts of hyperpigmentation in certain patients. In other words, in addition to UV radiation from the sun, any type of light, from the bulbs in your office ceiling, to the glowing screen of your computer or cell phone, could lead to hyperpigmentation in those who are prone to the condition. Relax—there’s no need to trash your devices and live in the dark. While this study expands what lifestyle factors we may look at when identifying the causes of and determining a treatment for hyperpigmentation in any given patient, it doesn’t necessarily mean that you are at greater risk for skin problems than you were before your cell phone became a necessity. Moreover, although extended exposure to visible light may impact your skin, good skincare habits can help make up for any harm that the small amount of light emitted by a cell phone may cause. UV radiation is still the most clear and present danger to skin health, so using a broad-spectrum sunscreen daily is a must. 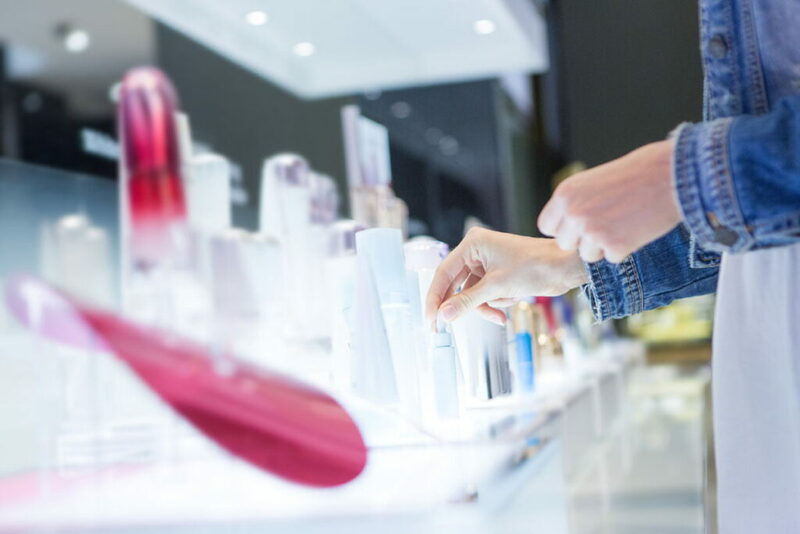 An experienced skin care professional can help you find a high-quality product that will feel light on the skin and is appropriate for your skin type. Need help treating existing skin pigmentation problems? If you are already seeing melasma or pigmentation problems, in-office skin resurfacing treatments, such as chemical peels or microdermabrasion, can reduce hyperpigmentation by removing outer, damaged layers of skin to reveal healthier skin cells beneath. We’ve seen great results with both the Obagi Blue Peel and the Vi Peel for our Rancho Cucamonga skin care patients. IPL photorejuvenation is another great option—it actually uses intense pulses of light for the good of your skin! The treatment absorbs excess pigment and promotes collagen production to restore a more balanced, even complexion, typically without downtime. If you also want to fight hyperpigmentation at home, topical products containing tretinoin or hydroquinone can be a suitable option for melasma and hyperpigmentation. Always purchase medical skin care from a qualified, licensed physician—preferably a board certified cosmetic surgeon or dermatologist. Unlike over-the-counter products, physician-only skincare typically contains greater concentrations of active ingredients and is clinically tested for safety and efficacy. Plus, by having a doctor help you choose the best products, you’ll be more likely to see improvements. If you have questions about your treatment options for age-related skin damage, and you’re in the Rancho Cucamonga area, please give us a call (feel free to use your cell phone)! 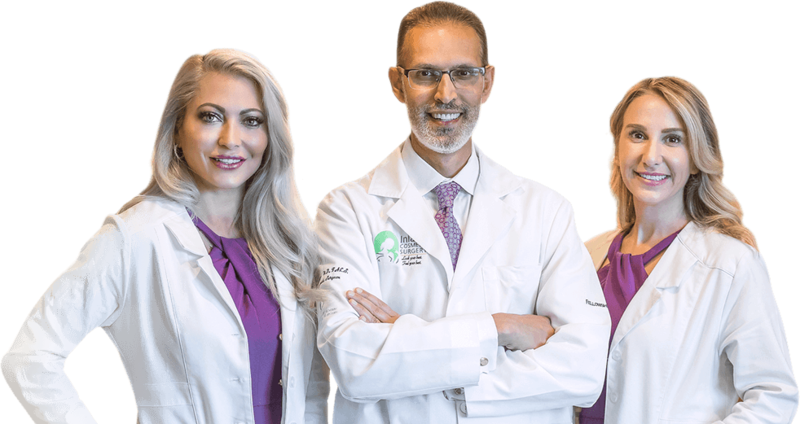 Dr. Haiavy, Dr. Tower, and our highly experienced esthetic team will work with you to make sure your skin is receiving optimal protection and you are getting the most benefit from your skin care. Should You Get Body Contouring After Weight Loss Surgery?